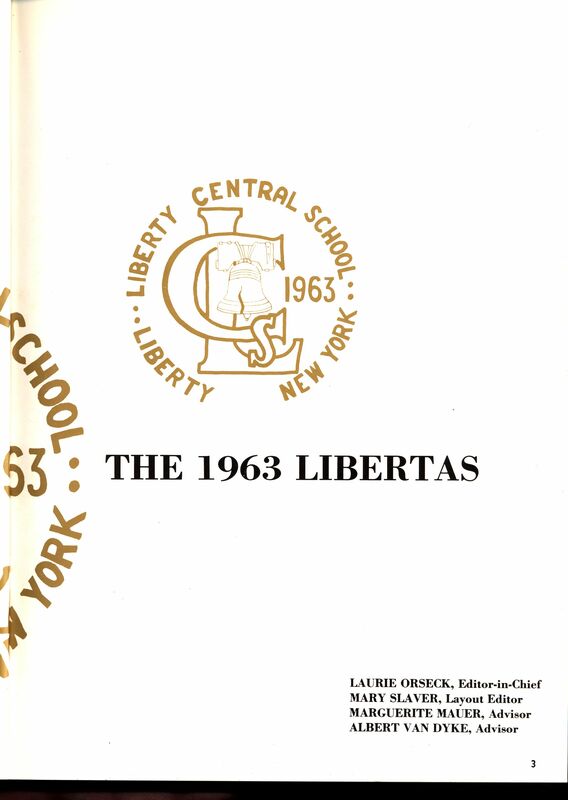 We’re delighted to bring you yet another yearbook from Liberty Central School in Liberty, New York — the Libertas for 1967. If you know the area — Sullivan County, NY, the Borscht Circuit, the Catskills — you can juxtapose the year and the fate that befell the area after the resort industry declined and virtually vanished. The fact that Sullivan County is now in a rapid upswing doesn’t diminish the depths to which it was to sink in the latter half of the 20th century. Yet it’s obvious from the happy faces of this crop of graduates that none of this was even remotely on their radar at the time they graduated. Yes, the Vietnam War was ramping up; yes, there were troubles brewing, but this class looks as happy as we have seen a graduating class look. While you’re there, take a few minutes to look around! There’s lots more to see in addition to the Libertas for 1967! There is one big problem with Quinlan’s History regardless of what version you use. It has no index. Of course, creating indexes was as difficult and time-consuming back when Quinlan wrote his history as it is today (maybe more so — we at least can use a computer in our indexing process), so we cannot fault him for omitting it However, its absence is a lasting defect. We decided that we could add value, so we put everything else aside and indexed it ourselves. If you’d like, you can buy a copy of our index for $2.50 — CLICK HERE to go to our website. HOWEVER, we didn’t stop there. We decided that we could even improve on that. When we used Quinlan, we discovered that it was difficult to correlate what was going on in one township with what was happening in other townships and the larger world outside. To help deal with this, we prepared a detailed timeline from Quinlan. We’ve included it, and we hope you find it as useful as we have. And, sometimes, it’s nice to have some pictures to look at when you’re reading about an area. While there are very few if any Sullivan County photos available of a time before Quinlan wrote his book (circa 1872) and rather few for the next few years. So we did throw in a few postcards from the turn of the century, just for fun. We hope you enjoy them! get (1) the full text of Quinlan (our high resolution scans), with appendix, advertisements, etc., AND (2) our complete index, AND (3) the timeline, AND (4) the pictures, all for $5.00 — and you can download it in PDF format right now! If you’re interested in Sullivan County, New York, and our Quinlan’s History of Sullivan County package sounds like a reasonably attractive proposition, visit our website and download it! Child’s Gazetteer of Sullivan County, NY is one of only a few printed sources of Sullivan County, NY historical data contemporaneous with the time it was published. It’s generally considered essential if you’re doing anything serious with the history or genealogy of the New York county that went on, 75 years later, to become “The Borscht Circuit”. The book includes both historical material about each township in the county, as well as the expected tables of households replete with the name of the head of household, the business they are in, and, for farmers (which most people did at least as a sideline back then) the number of acres they held. The advertisements sprinkled throughout the volume are a study in themselves. Realizing that someone’s name can appear many places in the volume, we compiled our own index of the book, something we felt was lacking and something we needed for our own purposes. 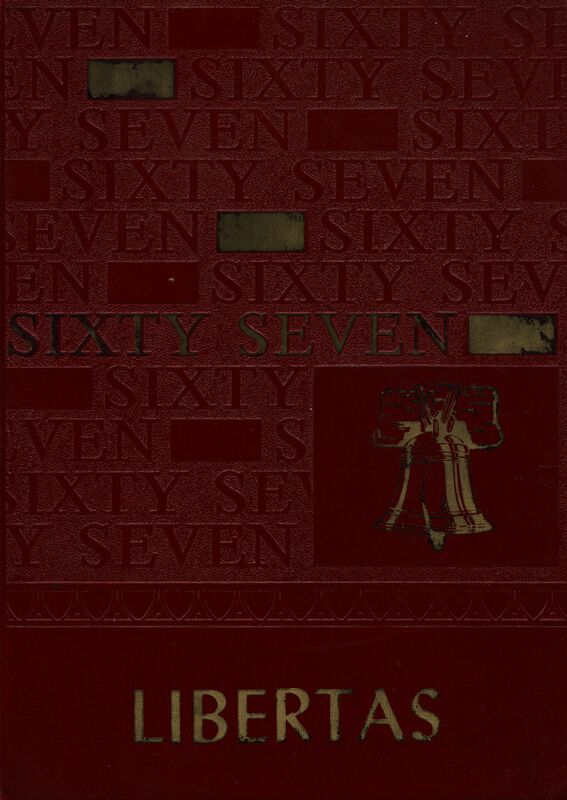 For more than a decade we have offered our scanned version of that important book on a CD-ROM, including the index we compiled of that book, for $20. As we have been phasing out our CD-ROM line, replacing it with downloads, Child’s Gazetteer came up for republication, and we’re happy to say that it’s now available as a download at a huge saving over the CD-ROM price. The download is only $4.50. Our version is high resolution page images, and you can read it easily. The free versions, sadly, are low resolution and portions are actually illegible. Our version includes our index. The free versions lack an index. A key part of the original book was a large fold-out map. Ours is reproduced so that it’s actually usable. Legibility is a real problem with the free versions. If our republication of Child’s Gazetteer of Sullivan County, NY for 1872-73 is of interest to you, why not have a look at our main website. HERE’s the link directly to the page with more descriptive material and the download. The Centennial Book of Liberty, NY is one of the less frequently seen documents of the history of that township. We’re indebted to Denny Birmingham for lending us her copy of this now-scarce document for copying and re-publication. First, and most obviously, there are pictures – lots of them. Most of the important building are shown, both commercial establishments and residences as well. There are photos that illustrate the original settlement on Revonah in a way that makes it comprehensible to people living today. (An interesting note here: the name of the mountain had already changed from Hanover to Revonah when this book was published – often the date of the change is assumed to coincide with anti-German sentiment during World War I.) The photos of the residences are fascinating as one tries to recognize the houses of today’s Liberty among them. Most of the photos have been seen elsewhere, but the collection is a good one. The text is very useful since it amplifies on the early history found in Quinlan’s History, and also fills in details of the years following Quinlan’s publication in 1872. While the photos are a bit hard to relate to people today, there are also photographs of some of the leading citizens. As mentioned, it is a modest book for a centennial volume, at least compared with some of this genre we have seen. However, we think it will be useful to anyone with an interest in Liberty today and in its past. We have compiled and included an index of the book including all names mentioned which should be helpful to those using the book for research only and not reading it through. Well, we happen to sell it as a download! Want more information? CLICK HERE to go to the Liberty, NY page on our main website, where you can read a bit more about it and download it. 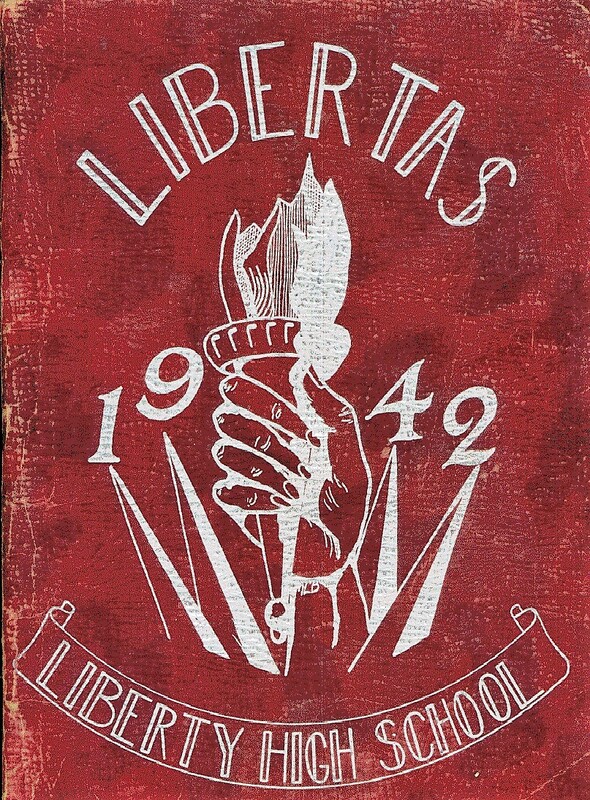 We’ve just re-published the 1942 Libertas yearbook from Liberty High School in Liberty, Sullivan County, New York. 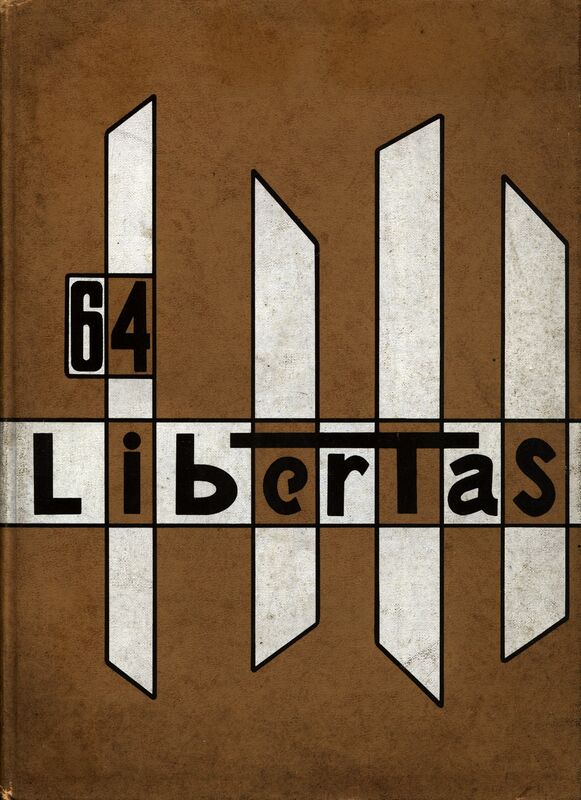 To tell the truth, we wouldn’t mind re-publishing all of Liberty High’s historic yearbooks, but realism tells us that we could never possibly find copies of all of them to scan — which gets us around to why the 1942 Libertas is different and interesting. First of all, it is a wartime yearbook! Published only months after Pearl Harbor, it is still the only example from Liberty High School that we have of this genre. There are many things that this yearbook has in common with non-wartime yearbooks (it has all the usual contents, for example, including photos with names of grades seven through twelve, and abundant advertisements) but the moment you pick the original up you notice that it has a soft cover rather than the typical hardbound book cover. 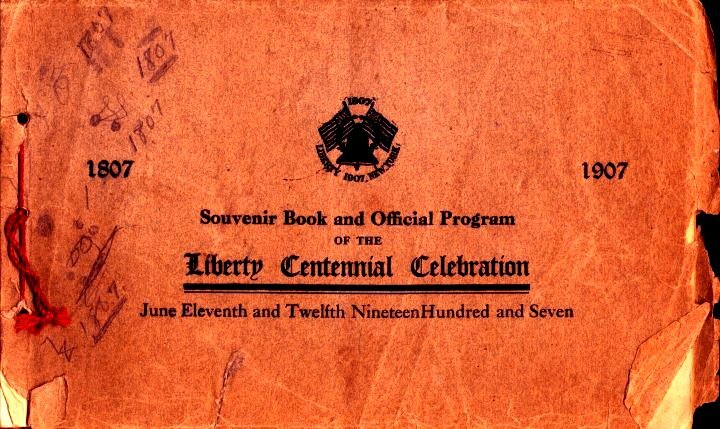 Front cover of the 1942 Libertas, the yearbook of Liberty High School — note the front cover is paper this year! Later in the war, yearbooks began to reflect a nation actively gearing to to support the war efforts. Later yearbooks included lists of students who had left high school to serve and, eventually, in memoriam pages for those who would not be returning home. Nonetheless, this is indeed a wartime yearbook. We think it’s worth a look. You can do so, and, if you wish, purchase a download of it, on our Liberty, NY page. CLICK HERE to go directly there. Back in the years preceding and following the dawn of the 20th century, the larger Sullivan County, NY, villages, such as Liberty and Monticello, had their own Methodist Episcopal (what the Methodists used to be called) churches with full-time clergy. However, the smaller villages and hamlets might have had a church building, but the clergy was shared between several villages. If you’ve heard the term “circuit rider” that’s what these clergy were. They carried the records of each of the churches with them as they rode the circuit. In the Town of Liberty, in Sullivan County, NY, there was a circuit that served White Sulphur Springs (then called Robertsonville), Swan Lake (then called Stevensville), and Harris (then known as Strongtown). A succession of ministers served that circuit, and their compiled records are available to us, thanks to the diligence of Gertrude Barber back in 1929. Church records, with variations depending upon denomination, tend to have records of liturgical events: baptisms, confirmations (“joining the church”), marriages, and funerals, with occasional lists of all the members of a particular church at a particular point in time. In an area that did not have state-mandated capture of birth, marriage, and death statistics until rather late (and then it was not infrequently neglected), church records can be the most important source of such data, surpassing even family Bibles due to their concentration of information about a locality. We had previously included this compilation on one of our Memories of Liberty CD-ROMs, but now that we have discontinued our CD line, this one gets to stand on its own. For anyone with ancestors in the more rural parts of the Town of Liberty, or someone interested in the history of these areas, this collection is very important. We’ve also compiled our own index of the records. Please CLICK HERE to see more information and to download this collection. Gertrude Barber’s compilation of the Fulton-Fraser Cemetery in Ferndale, a hamlet in the Town of Liberty, New York was an achievement of hers in the 1929-1930 timeframe. Her typescripts, done at a time when few perceived much value in collecting such information, have become a genealogical mainstay for those researching in Sullivan County, New York, and this cemetery, another in the Town of Liberty, is another example of her work. We do not know the current status of this cemetery, or even where in Ferndale it is (or was?) located. We can hope that today it is known by another name and is being cared for. However, her description of the run-down state of the cemetery nearly a century ago suggests that this may not be the case, and, assuming that it continued to decline, it is worth considering that a compilation like this might not even be possible today. This compilation includes our own index. CLICK HERE to access the main Liberty, NY page on our website for additional information and to download. These inscriptions were collected by Gertrude Barber (1929-1930) as part of her effort to capture the rapidly disappearing local history of many Sullivan County communities. Gertrude Barber, the person who collected and transcribed the gravestone inscriptions of the Old Liberty cemetery, one of a number she collected in the 1929-1930 period, deserves our thanks for this effort. She spent her summers in the Sullivan County area collecting church and cemetery records, and during the winters transcribed her work using a manual typewriter and six carbons, which she deposited in major libraries that showed an interest in her work. Not all did. Not many people at the time were interested in this kind of material, or in this geographical area, and were it not for her efforts, much of the information on these stones would eventually be lost. No doubt some already is. We regret that she did not get around to collecting all of the cemeteries in Sullivan County, but we are grateful for those she did do. There are no doubt errors in her copying and transcription. Again, because of the magnitude – and difficulty — of the copying and transcription task she undertook we readily forgive her errors and are thankful again that she undertook the task at all. We are delighted to make this compilation of the old section of the Liberty, Sullivan County, New York cemetery, together with the index we compiled of it, available as a download. Please CLICK HERE to go to the Liberty page of our main website for more information and to download Gravestone Inscriptions of the Old Liberty Cemetery.